It is a week before Thanksgiving and I fully admit that I have lost most of my respect for the Holiday. I know that some other Signature Moms are confessing to the same. Don’t get me wrong, I love what it stands for and I love the family time. The feast is, of course, amazing. But I just LOVE Christmas. My car radio is already tuned to holiday music and I’m already planning to pull the boxes out of the crawl space so I will be ready to decorate as soon as I am fully digested. I get so excited to create holiday magic. I love to play Santa and to bombard my kids with all the joys of the holidays. 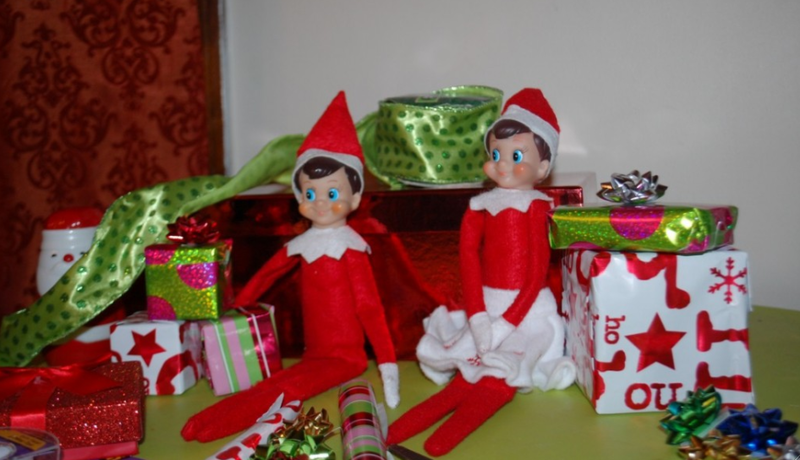 A few years ago, the Elf on the Shelf entered our home and created quite a stir. I can’t wait to start Elving again this year. A few months ago, I compiled a list of new ideas so I could pull from it each night after the kids are fast asleep. Even if the kids think it’s no big deal, it’s pure fun for me. I love looking at the other inspiring elfers out there. 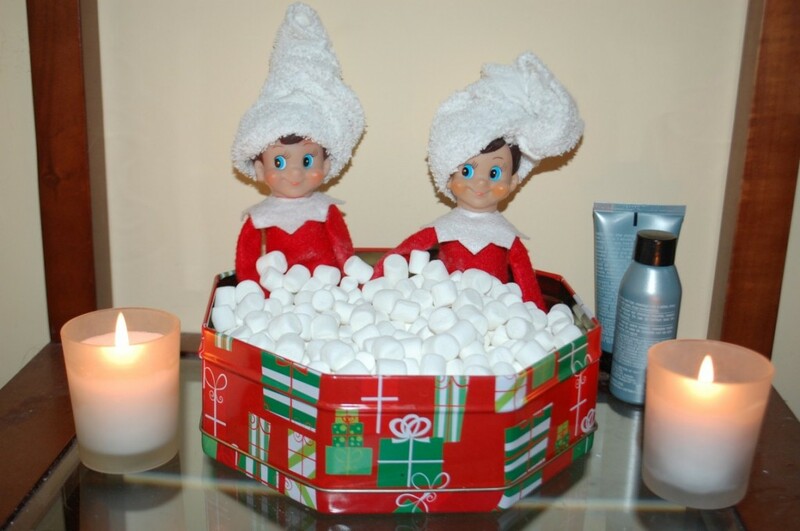 You can find a lot of great ideas on Elf Antics on Facebook. We started with a boy named Buddy. When Jack was a year old, we added a second elf named Piper. (You can check out last year’s fun on our family blog, thepimentals.com.) Even though we had a third child, I had no intention of adding a third elf to our mix. However, I put the question up for discussion on Facebook and realized that I was crazy to think we didn’t need another one! So, we’ll be getting another elf next week. I’ve already named her Zoey. And I may have already started making some costumes for them to wear. Yes, I know I may need to be committed. Hopefully they will let me take my elves with me! Decades from now, I hope my kids will think back on our Elves as a fun family tradition. Buddy, Piper and Zoey will be part of our holidays for years to come. And having one for each of them will allow them to take part in the fun with their own children one day. It will be something they can take with them into their adulthood. There will be plenty of inspiration for them to get started and I’m sure I’ll be all too willing to help them come up with new ideas of their own. Funny thing is I look forward to see your nightly Elving!!! How cute and what a great family tradition. I am hoping that my children take the Christmas Lennox plates that I have. I use these plates every year for Santa to come and eat his cookies. My 14 year old doesn’t believe in Santa anymore but each child still leaves Santa a plate of cookies! Is that a marshmallow bubble bath? Yum! Ha, I wrote about Elf On The Shelf just yesterday… it seems to be a popular topic this time of year. You have some really creative ways of displaying your visitor!